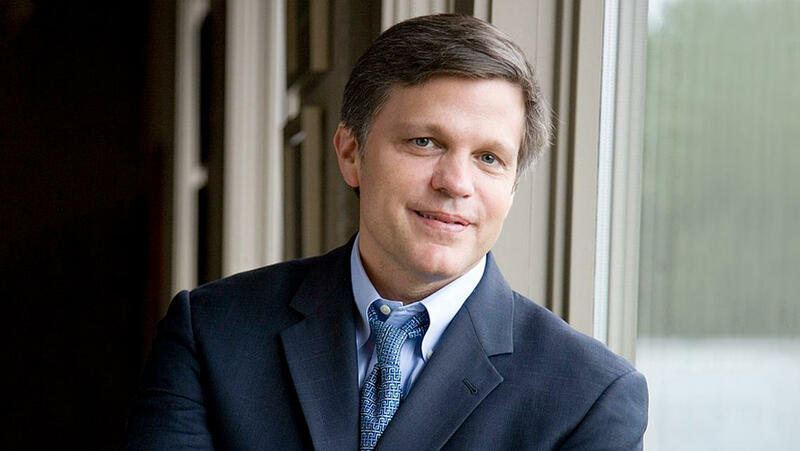 Douglas Brinkley, a best-selling author and one of America’s most revered presidential historians, will speak at The Poinsett Club in downtown Greenville on Thursday, Oct. 25, at 6 p.m.
His talk, “Highs and Lows of the American Presidency: Past, Present and Future,” is sponsored by the American History Book Club and Forum and Furman University. The event is open to the public but reservations are required. The cost for attending is $50 per person with the opportunity to include a donation to the Furman University Huff Scholars Fund, which supports Furman student internships and research and promotes history literacy in grades K-12. This year’s Huff Scholars award winners will also be honored at the AHBC event. Furman student Eleanor Mixon, a junior history major from Rock Hill, is the recipient of the A.V. Huff American History Scholars Award. The Kate Huff History Scholars Award will be presented to two Furman alumni—Ashley (Barr) Causey ’97, a teacher at Hillcrest High School in Greenville County, and Audrey Neumann ’15, a teacher at Roebuck Elementary School in Spartanburg County. Six of Brinkley’s books have been selected as Notable Books of the Year by The New York Times, and several more have made the newspaper’s best-seller list. Those books include “Rightful Heritage” (2016), which chronicles the presidency of Franklin Delano Roosevelt, as well as “The Nixon Tapes” (2014). He is also co-author of “JFK: A Vision for America” (2017). Brinkley is active on the literary front, having edited Jack Kerouac’s diaries, Woody Guthrie’s novel, Hunter S. Thompson’s letters, and Theodore Dreiser’s travelogue. For more information or to reserve seats at the Brinkley program, contact Furman’s Nancy Liebezeit at nancy.liebezeit@furman.edu or 864-294-2173. Founded in 2008, the American History Book Club and Forum provides opportunities for the intellectually curious to explore their passion for American history through the written and spoken presentations of great writers and historians. The club is dedicated to creating interest in the nation’s cultural, economic and political history, to inspiring appreciation for enlightened traditions of the American experience and to advancing the United States’ distinctive leadership role in the world.